Alpenhotel Enzian Hochsolden, Hotel Austria. Limited Time Offer! Alpenhotel Enzian. "Alpenhotel Enzian" has acquired 4 stars. 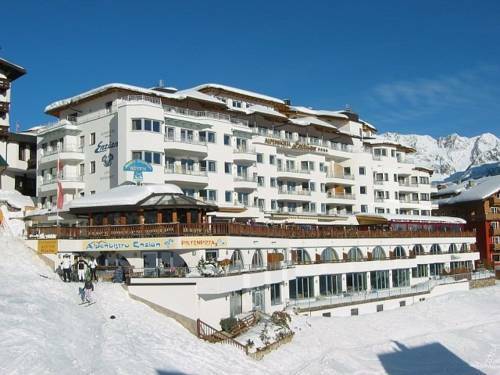 The accommodation is a perfect pied-a-terre from which guests can explore Sölden. Every room in the residence is spacious. Visitors will appreciate the indoor swimming pool. At this residence, you can participate in skiing. In the spa you can indulge yourself with a massage treatment. To bring you even more chances to relax, there is a sauna and Turkish bath as well. You can dine at the onsite restaurant. Business people will appreciate that there is Internet access available at no extra charge.